The prefecture of Evros lies in Thrace, in N.E. Greece, bordered by Bulgaria to the north & Turkey in the east. It's the location of Malcolm's latest wildlife adventures. 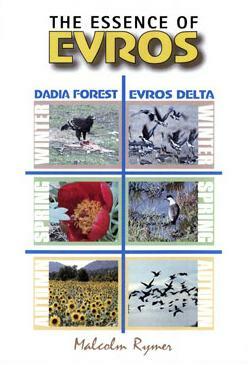 The film features two completely different, internationally-important habitats - the Forest of Dadia and the Evros Delta wetlands, both within easy travelling distance of each other. It highlights the spectacular landscapes and wildlife of each habitat throughout the year, illustrating the potential of this little-visited region as a birding itinerary.